Dan Pulman, owner/operator of Pulman Earthmoving Ltd.
I’ve had other operators borrow my Doherty cleaning bucket and they’ve been massively impressed with how it cuts and picks up material. They ask to swap with their bucket brand so they can keep using mine! We decided to use Doherty because of their reputation. We look for the best products in the industry but when it comes to finding a supply partner for equipment and systems that add value, the decision often comes down to the people more than anything else. I like working with the guys at Doherty. The support you get from the team is the most important thing. They’ve got a good team and really easy to deal with. We bought our first Snaplock+ tilt hitch system and bucket four months ago, after being recommended by our local mechanic. We were on the search for a hitch system that would allow a full 180-degree tilt and tough enough to withstand our workload. It was an absolute pleasure dealing with Mark and hearing his knowledge and assurance of quality of the product. 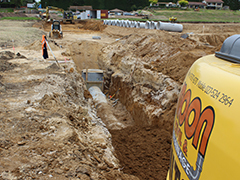 We knew we were building a long-term relationship with the Doherty team, being a new business in the industry it’s nice to know we’re using reliable gear with ongoing support. We finally got our new Sumitomo SH225, complete with Trimble GPS gear into work on the Kapiti Expressway in mid January and within days it was commissioned to undertake a 800m open drain south of Palmerston North. This contract to give the GPS and especially the tilt hitch a solid workout was a great opportunity. Read the full story ­here. 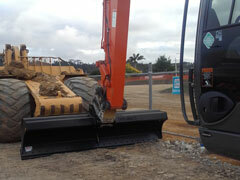 “…our line of work is really specialised therefore the right equipment is vital. 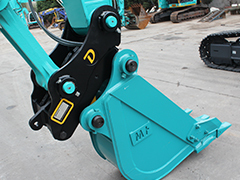 One slip up could be very costly which is why we need attachments that give us the best control and manoeuvrability. 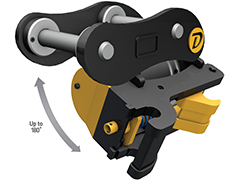 We’re using the Doherty Snaplock+ Tilt coupler because it enables us to work around underground services confidently. “Quick couplers meeting important safety requirements is definitely important to us. The dual lock system of the Snaplock+ reassures the operator of this. 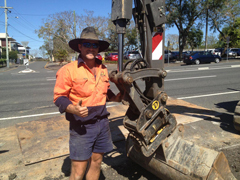 “Along with our Hitachi excavators, we use the Doherty Snaplock+ Tilt coupler pretty much on all our projects because the guys are constantly changing buckets throughout the day.